Applications: Fits most angle grinders and rotary polishers of 115mm upwards, with M14 spindles. 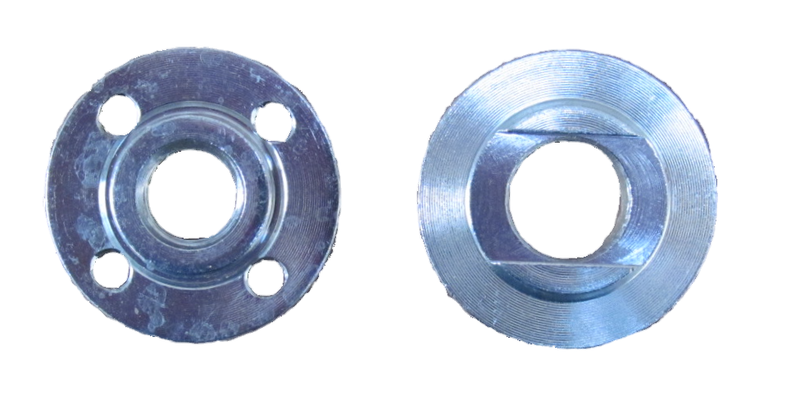 The flange base has recesses to fix to the squared base of the spindle. 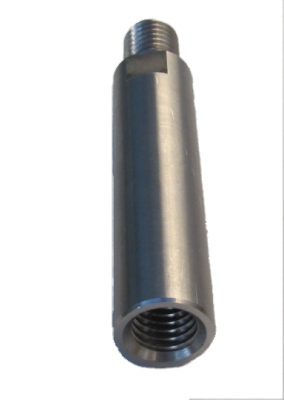 Where there is no such base you may need two sets to use the threaded nut top and bottom. Check sufficient thread is available to clear through. If in doubt refer to the machine instructions or a competent person. Flange based with flat to lock to spindle base. Use 30mm pin spanner with 4mm pins. Sold as a set of 2 items. This spindle extension can help access recesses to sand and polish.